The Acieloabierto Network emerges from the collaboration lines that many of the festivals, which now comprise it, have maintained over the years. The openness and generosity of all the festivals resulted in common work spaces that remained constant, so the natural result was to create a structure that would integrate them, that would facilitate their appearance and allow new agents from the sector to participate in them. In other words, an open and inclusive infrastructure that would permit the flow of information, ideas and artistic projects, and that would promote the development of contemporary dance. 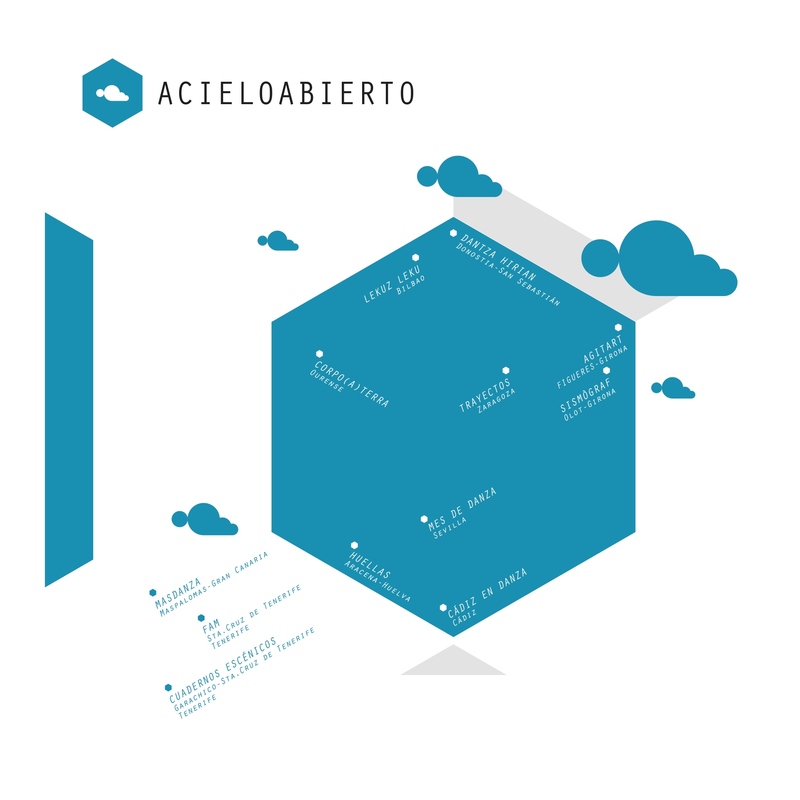 Integrated into the Acieloabierto Network, we festivals can work more comprehensively in our public service commitment. A commitment to contemporary dance, to the consolidation of companies and festivals, and above all, to the idea that the works of dancers and choreographers should connect with the citizens.